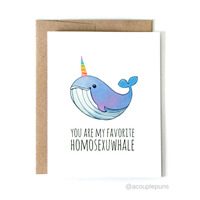 ACouplePuns is a source for paper goods guarenteed to make you and your loved ones laugh. ACouplePuns was started to connect people through laughter and art. All cards are illistrated by the owner and entrePUNeur, Angelica Hanley. She "draws" inspiration from pop culture, things she loves and places she travels. She hopes to bring some laughter to everyone who gets their hands on her cards! Angelica is military spouse married to a Navy Pilot meaning she moves around quite a bit. She was inspired to build a creative business she could take with her whereever she and her husband end up. Free domestic shipping on orders placed at the show. Purchase what is best for your shop and your budget at our booth at NSS. ACouplePuns will not require minimums on orders purchased throughout the show. 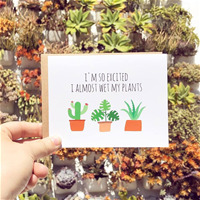 ACouplePuns, a new stationary brand headquartered out of Corpus Christi, will attend the National Stationary Show February 3 – 6, 2019 in New York City at the Jacob K. Javits Convention Center. Over 400 exhibitors in the stationary, greeting card, and handmade gift industry will be in attendance. The brand was created by female “entrePUNeur” Angelica Hanley. 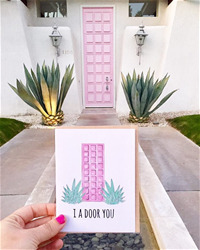 Hanley’s inspiration to develop the line of pun worthy stationary cards came from wanting to develop something that she could take with her wherever she went. As a wife to a Navy pilot, it was important for Hanley to build a business that she could take anywhere, since the couple moves around quite a bit. Hanley came up with the idea initially during the summer of 2017 while spending a hot summer in Texas. Hanley joked that it was too hot to do anything outside and she hadn’t met friends in her new city, which caused her entrepreneurial spirit to come out in full force. With a mixture of the desire to make people smile and her background in the field of marketing and advertising, ACouplePuns was born. 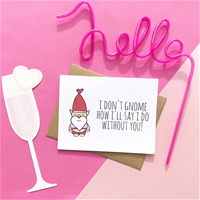 The line of stationary cards includes cards for virtually any occasion including holiday, wedding, birthday, support, graduation, etc. For more information on the product line available, please visit the website https://www.acouplepuns.com/. You can also find A Couple Puns on Facebook, Instagram, or Pinterest. 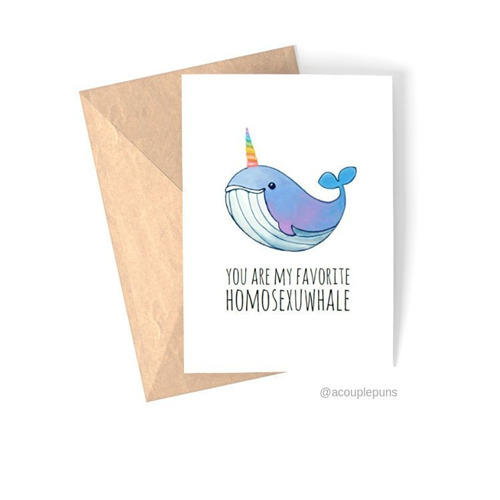 I am delighted to introduce you to the giggle-filled magic that is ACouplePuns, high quality paper goodies that are equally cute, as they are clever. All cards are illustrated by the owner and entrePUNeur, Angelica Hanley. She "draws" inspiration from pop culture, things she loves and places she travels. Angelica is a military spouse, married to a Navy Pilot meaning she moves around quite a bit. She was inspired to build a creative business she could take with her wherever she and her husband put down roots. 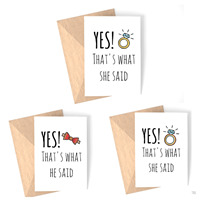 A card for every imaginable occasion, ACouplePuns delivers sweet messages accompanied by disarmingly darling drawings on superb card stock that is scored, folded and packaged by hand! ACouplePuns would add an enchanting touch to any story this February 14th! Sharing some favorite designs below and please do not hesitate to reach out for additional information or a media sample! 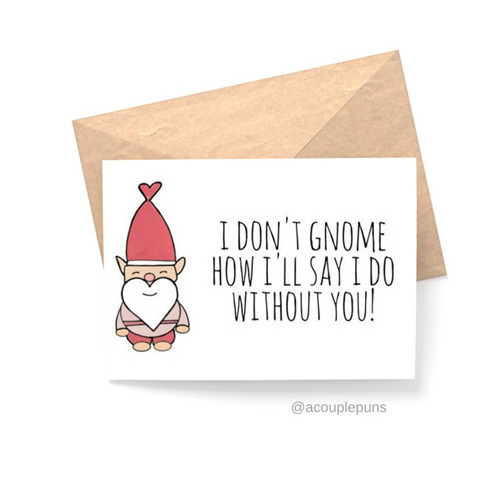 I Love You Gnome Matter What ($5.00): Gnome matter who this is for, they will love you all that much more! You Are Just My Type ($5.00): It’s ok if your Valentine is a sucker for typography and fonts, it’s a type thing, we wouldn’t ampersand. Least you can do is give them the perfect card. 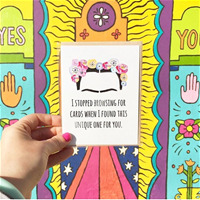 You Are Sumo One Special: ($5.00): If your love language coincides with men that look like giant babies participating in a full contact sport, this card is for you. 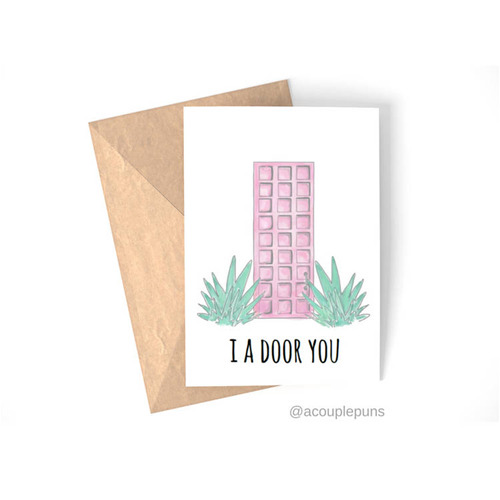 To peep the entire line of papery pleasantries, visit https://www.acouplepuns.com & don’t be shy, friend it up @acouplepuns on FB & IG! Thanks A Pun! -This card is printed on 120 lb cardstock. -Cards each come with one recycled brown kraft paper envelope packaged in cello sleve.